A sleek and elegant summer menu board. The green and white colors are well designed and the black color patches add to the style. 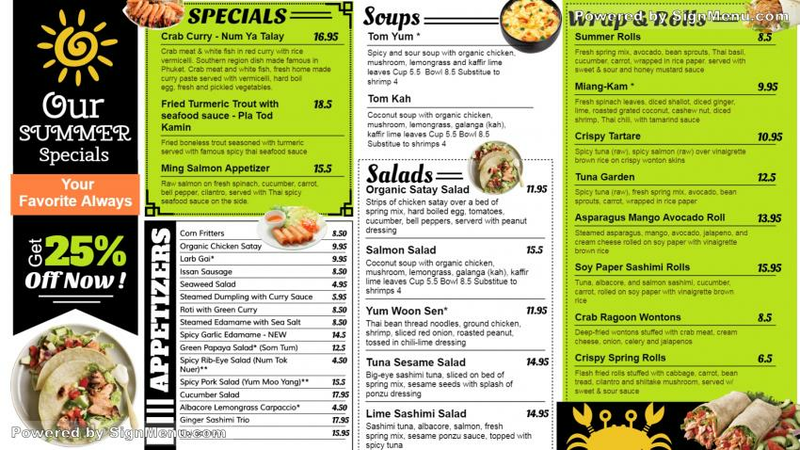 The discount offer on appetizers is well highlighted, and so are the wraps & rolls with multi-color graphics at the bottom right. On a digital screen this template will be a super-hit with the target audience and sales will increase significantly.